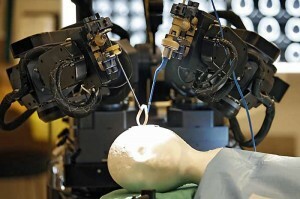 Neurosurgery is about to change with the arrival of Neuro Arm, a new robot system developed by specialists of The Calgary University. This device was designed by Garnette Sutherland, a neurosurgeon who worked the last 6 years to make the device that frees the surgeons of the possible faults caused by the human hand. 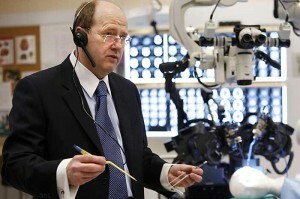 â€œMany of our microsurgery techniques come from the 60s, and have put to the surgeons the lack of the exactitude, precision, skills and resistance,â€ explained the professor of neurosurgery. It is designed to be operated by a neurosurgeon from a workstation, the robot operates with a system of realtime images, offering a detail without precedent, and a better control of the equipment. 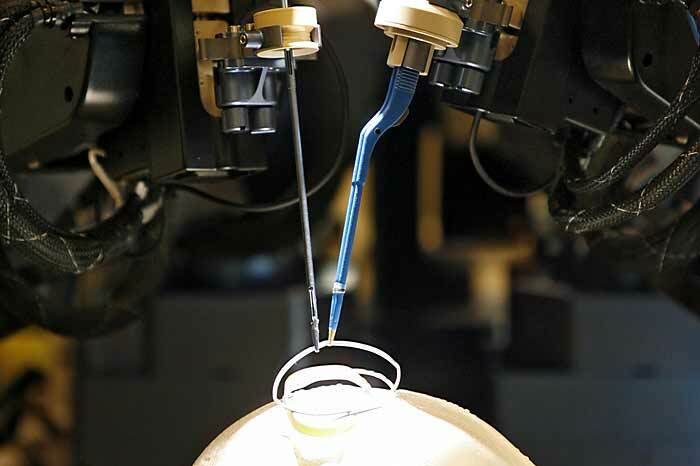 The surgical tests of Neuro Arm in the human patient are in process, and we hope that the first surgery with this device could be this summer,â€ added Sutherland. 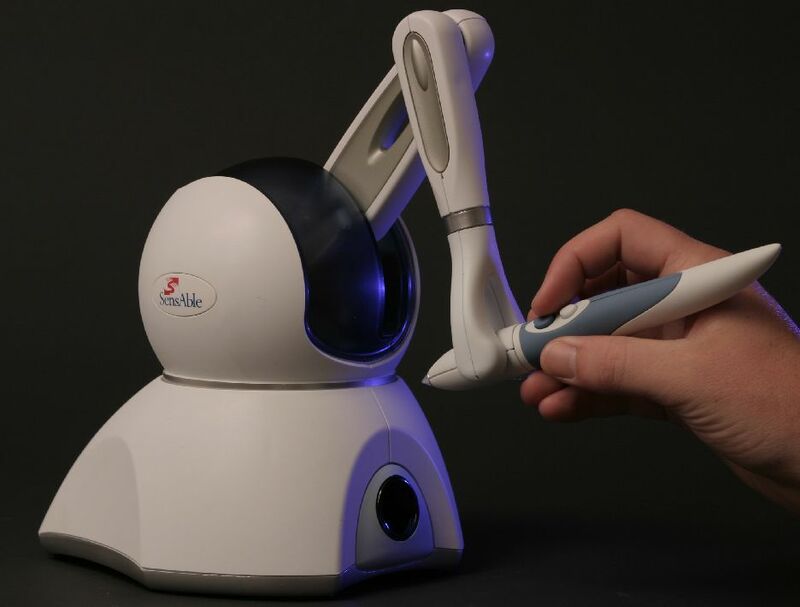 This surgical device was designed and made in collaboration with MDA, a well-known company to participate with the NASA in the development of the robotic arm Canadarm2, used in the space shuttles. The project began in 2001, had a cost of 2 million dollars, mainly provided by B.J. and Don Seaman. â€œThe best surgeons can work in a space of 1/8 of inch, whereas this robot does possible to work in a space of the wide one of a hair,â€ explained Don Seaman. An aquatic wheelchair that helps people in rehabilitation process (i.e. 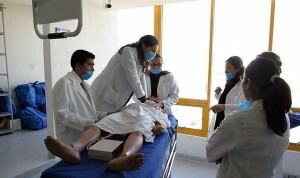 amputations) was created by students of the National Polytechnical Institute, Berenice Nieto Ãvila and Miguel Ãngel Herrera Ruiz. This amphibious technology allows physiotherapists to do their job in a better environment and with less risk. It offers comfort, security and efficiency for the patients. The structure of this device was made of nickel, floaters of polystyrene covered with fabric nylon and a mechanism that allow the necessary movements so that the patient can enter the bathtubs or pools, with no need of aid. “With this chair the patient can move by himself without fear to sink or to hurt himsellfâ€, Miguel Ãngel Herrera emphasized. The approximated weight of the chair within the water is of 15 kilograms (30 pounds approx) and supports a maximum weight of 150 kilos (300 pounds approx). 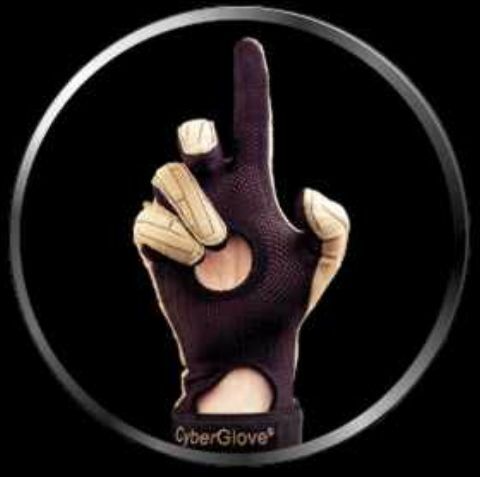 The creators will start a company dedicated to design, constructe and implement this kind of devices, focusing in rehabilitation techniques. At the moment they look for financing to commercialize their product and other innovations of rehabilitation field. 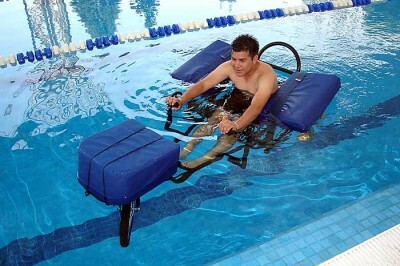 The amphibious wheelchair obtained the first place of the Seventh Encounter of Entrepreneurs. 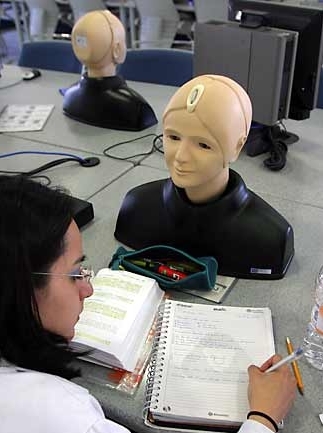 They are patients in a hospital, but they don’t suffer, because they are robotized models that allow students to learn without having the consequences of a real medical emergency. 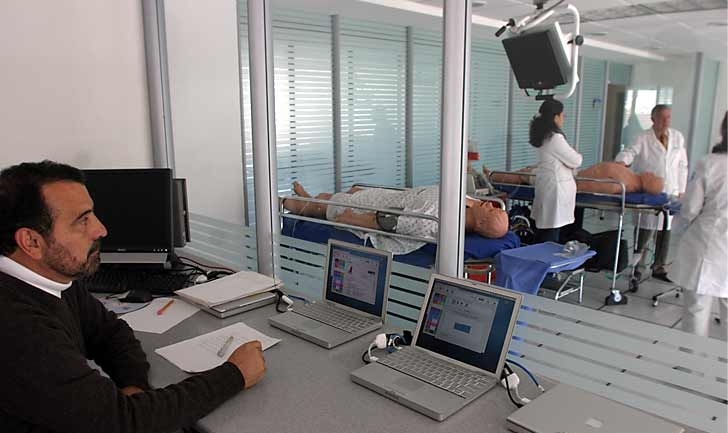 It’s been a year since the beginning of the Certification and Training Center of Medical Aptitudes in the Medicine Faculty of the UNAM, 179 robots have served 19,496 students to solve urgencies: from acute coronary syndromes to high risk childbirth. â€œIf they don’t do it right, the patients will â€œdieâ€, and this is reflected in a real EKGâ€, said doctor Jose Alberto GarcÃ­a Aranda, coordinator of the CECAM. 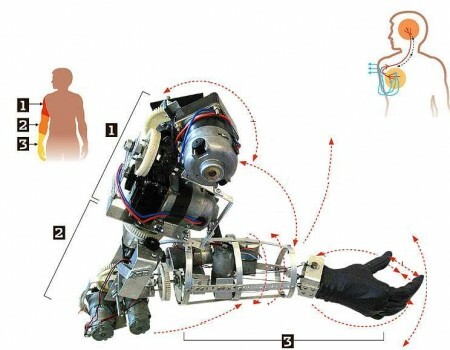 An articulated prosthesis that reproduces the seven basic movements of the human arm, using the electrical impulses of the human body, was developed by a student of the National Polytechnic Institute (Instituto PolitÃ©cnico Nacional). SimÃ³n Guerrero Castillo, who in in December finished his Engineering in Communications and Electronics career, will obtain its title with this device, which is formed by three adaptable modules at different levels from amputation, is light and tries to be of low cost, because it is done with mexican and easy to obtain components. â€œThe arm works with microelectrical signals that generates the body, which are registered by a group of 22 to 26 electrodes that are placed in a customized shoulder reinforcement according to the stature of each patient. This electrodes switch-on the commands of execution of the arm to control variables like position, speed and pressureâ€, details SimÃ³n Guerrero, of 25 years. The movements of this device are very similar to the natural ones: wrist (left, right, up, down); turn of the forearm; rotation of the forearm; elbow and shoulder (elevation, up, down); opening and closing of the hand. These movements are made with nine small motors that operate with two nickel-cadmium batteries of 12 volts. â€œMy main motivation is to make a prosthesis that helps people in Mexico and that it has an accessible price, because unfortunately many arm amputations are suffered by people of low income that cannot pay a nice prosthesisâ€. 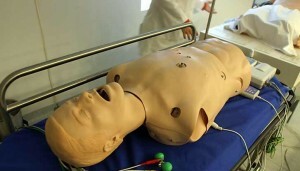 In order to install the arm to the patients surgery is not required. Is it possible to train yourself in a virtual patient? A short answer is Yes. Sounds nice, but… I personally believe that you cannot train yourself in a virtual environment because there are not virtual patients nor virtual diseases. There are certain things that cannot be learned that way. Human body and human organs manifest in different ways in disease and wellness, as the number of people on earth. Have you ever seen a virtual fever or cancer? I don’t. The basics of minimally invasive surgery skills could be learned in virtual environments (like learn for the first time the spatial skill in angle laparoscopes). 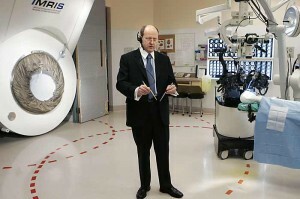 From there to the point of learn certain procedure in a simulator, it’s a long way. Perhaps this kind of technology can have some applications, but we don’t have to hurry and change what it has been proven for years… although somebody call us old fashioned. 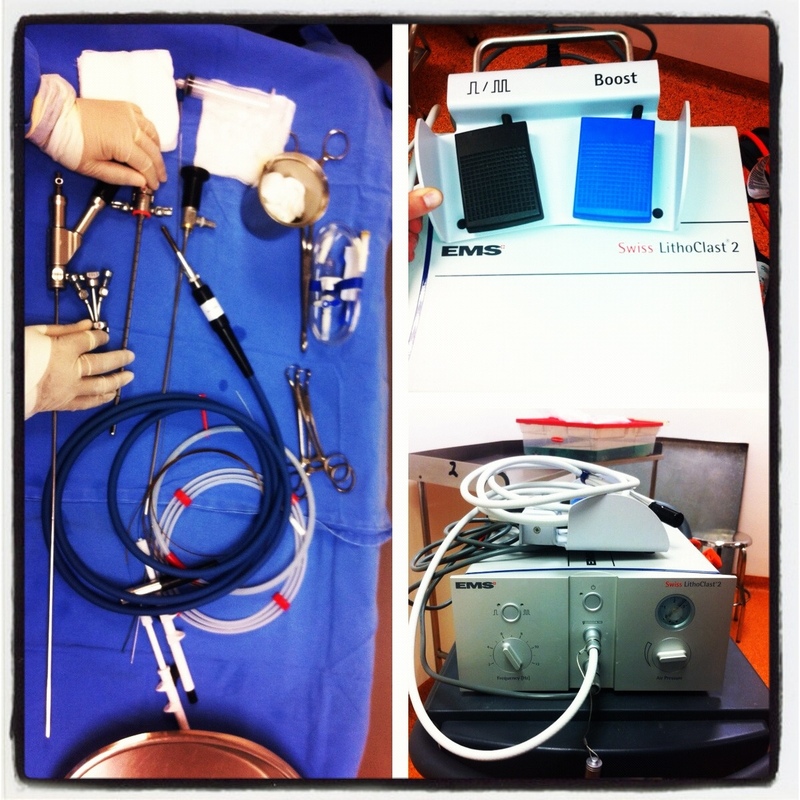 What do you think about surgery simulators? With new look, new content and new features appears the new ePOCRATeS Rx. I’ve been trying this brand new version of ePOCRATeS and I think that it’s quite better than the previous version. At Quinn Lab, San Diego Supercomputer Center, doctor Quinn, has an outstanding project called Patient Notes with mobile devices. 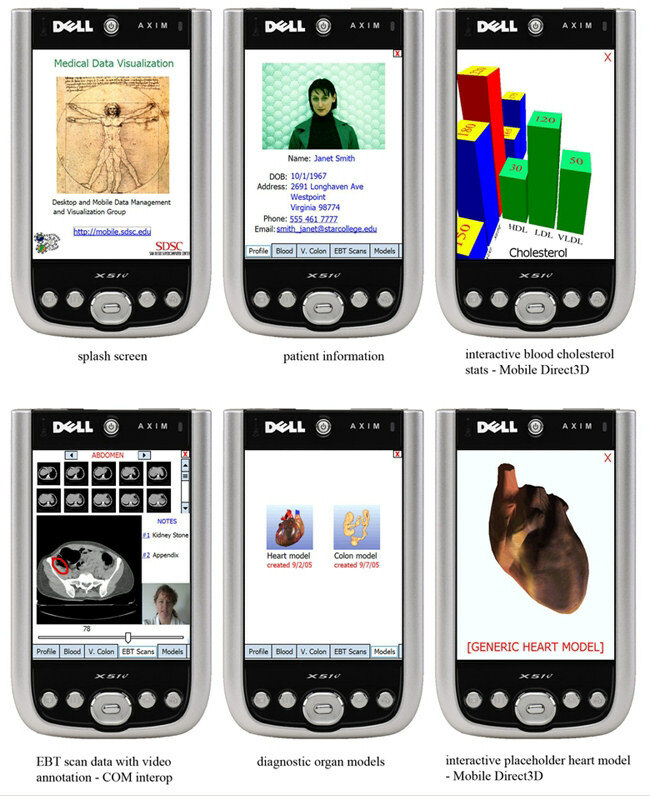 The famous and enthusiastic project of Dr. Quinn and Dr. Wright, consists in the transmission of medical data to mobile devices such as PDAs and cell phones to enable medical workers in the field to instantaneously gain access to, view and prognosticate on complex medical visualizations. 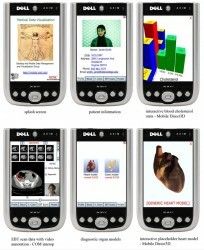 With this software, medical notes and patient tests can be downloaded onto a cell phone or PDA in just minutes. All the data on a phone is stored in the memory expansion slot. In these medical phones, however, Instead of music and digital pictures, it could hold a virtual scan of the body and much more. The 3-D mobile medical data program should be available within a year. This is a good start to revolutionize the way of getting access to medical information about our patients. Its uses are endless: ambulance, emergency departments, office, etc. 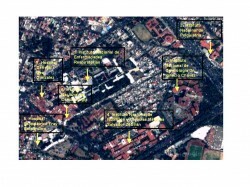 What if an earthquake destroys Tlalpan? At Mexico City The village of Tlalpan at the south of the city concentrates aproximately 80% of specialized medical atention in the country. 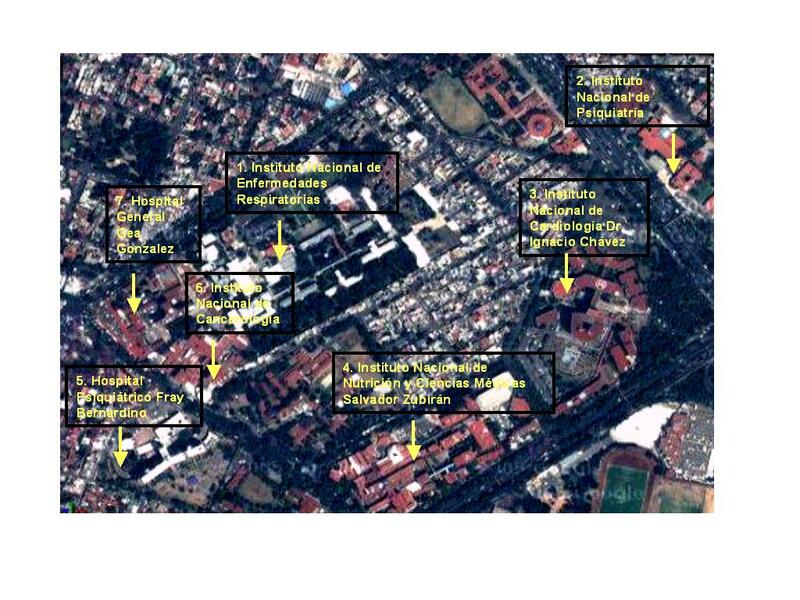 At the image from a Satellital view are identified some very important hospitals that are at walking distance in a residential zone. Author AnaSerranoPosted on December 12, 2005 December 13, 2005 Categories Med Gadgets3 Comments on What if an earthquake destroys Tlalpan?